From her studio in Edinburgh Fiona McIntosh of Tessuti Scotland designs and produces a range of fashion accessories which are hand dyed and silk screen printed using the 'discharge' method. 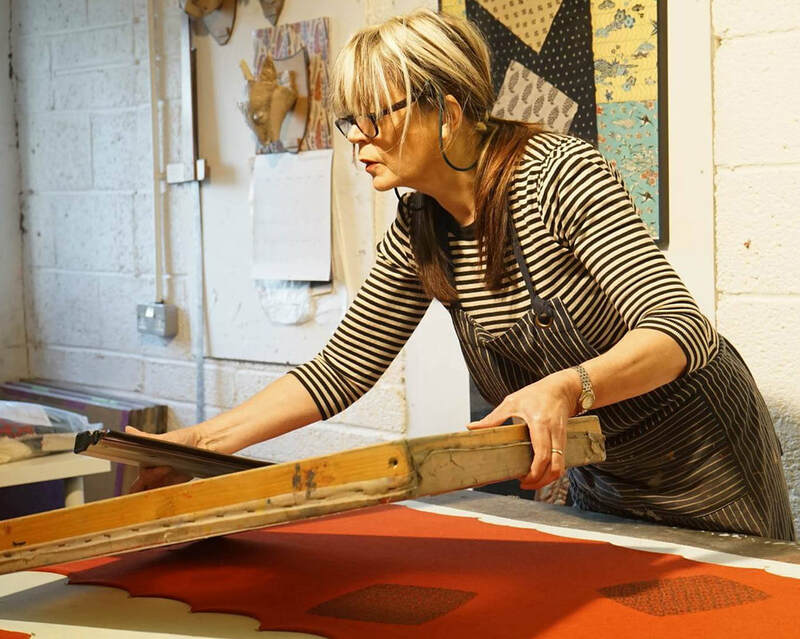 She specialises in mainly printing wool mixes, lambswool, silk and cashmere. The use of colour is very important in her work and discharge printing lends itself to this whilst retaining the soft handle of the fabrics. Fiona trained at the Scottish College of Textiles, Galashiels graduating in 1984. In 1985 she established Tessuti Scotland. Scottish craft, with James Donald of Pickone.